It was an August afternoon in 2006. I was standing in the quiet of my living room. The “whoosh” of the air-conditioned air coming from the vent above my head made the silence hard to ignore. The room felt very large. I felt very small. My husband had moved out two weeks earlier. My son was away at summer camp. My daughter was somewhere else. I was utterly and totally alone—not a single soul needed me or cared where I was. The chill of this truth arrowed my heart and I began to cry. Then I began to sob. Then I howled. The pain and the tears shook me to the floor. I was 51-years-old with not a clue as to how I had gotten to this place of feeling so solitary and undone. Life had treated me badly. I had done everything right, but it had just come out wrong. How could this happen? Who was to blame? I remember eyeing that terribly cold room as if the answers might be found there. As if someone would walk in the door and say, “Gee, Robin, I am at fault. Let me fix it all up. I’ll make it okay.” But no one was coming. I was the only one there. Then the bomb exploded. “It’s you,” said a voice in my head. “You are in this room, here and now, because you chose to be. Isn’t it time you take a good look? Perhaps it is time to do something about what’s going on in your life.” The challenge of these words stopped my self-sorry tears as I just sat there—very, very still. I then wiped my smeary nose and I chose. I chose to start telling myself the truth. My marriage was in serious trouble because I had grown lazy, selfish and scared. I had stopped talking to my spouse or showing my real self to him. Our relationship had slid into a black hole of us each “doing our own thing” and meeting at meals to talk over the future of our children or the price of a new computer. I could not remember the last time we had shared anything intimate or heart-felt. It had been too easy to go to sleep each night denying that anything was wrong. The intimacy of sharing the same bathroom and bed now masqueraded as a full-loving partnership. I had done nothing to stop the march of this sad show. My eyes widened as more truth seemed to just rise up from the floor. Where was my daughter right now? I assumed she was safe, but I knew nothing of the specifics or people who filled her spirit and her days. She had gone away to school and I had let her slip from my grasp. She came home on weekends here and there. We smiled and we shopped. We watched a movie or two. I asked how she was and she told me fine. My daughter was an “I love you” stranger now. I had let this happen. My son was at camp in upstate New York. His almost-teenage-hood was messy. He wasn’t happy or doing as well as he could. I had so easily marked all the stuff off on his “must-have” summer experience list, and just given him over to someone else’s care. What was really going on with my boy? Did he cry at night? Was there a young woman who longed as much for his smile as he did for hers? Besides loving math and computers and white-sauce pasta, what was special to him? I didn’t know these answers. I had been too wrapped in my own lostness, in my own I-don’t-want-to-look fear. I did not know my husband, my daughter, my son. I did not know my own self. I had set us all aside and apart from myself. This truth—that I was responsible for my being alone and terrified—caused sweat to prickle my armpits and my breath to come short. My choices and actions had brought me to this place of soul-punching despair. I remember looking slowly around that room where I sat, seeing it all as so different now as this truth sank home. In that single moment, my life went from outside to inside. Inside, where I understood, finally, that I create it all. How powerful I was! Look at what I had done. What could I not do if I chose differently and acted differently? 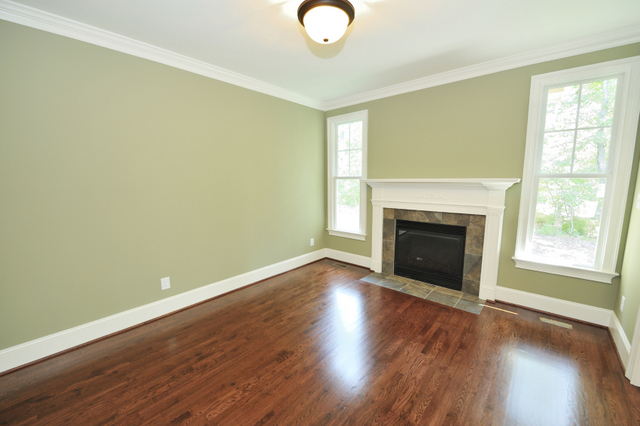 My heartbeat was a peaceful cadence in my chest as I sat on that floor, clear-eyed and very calm. I was done. No more denial. No more blaming others. No more hiding from the painful stuff, being lazy and soul shy. I was going to start living my life with conscious choice and honest good care. My life of deep personal truth began on that hot August day. But it did not end there, not by a long shot. The journey of self-honesty is a day-by-day, get-braver-as-I-go sort of thing. It means being kind and patient with myself, too. For so much of what I hold as “true” are things I never even thought to question before. In the setting aside of old habits and old thinking, I allow the inside of me to come blossoming forth with wonder, curiosity and love. 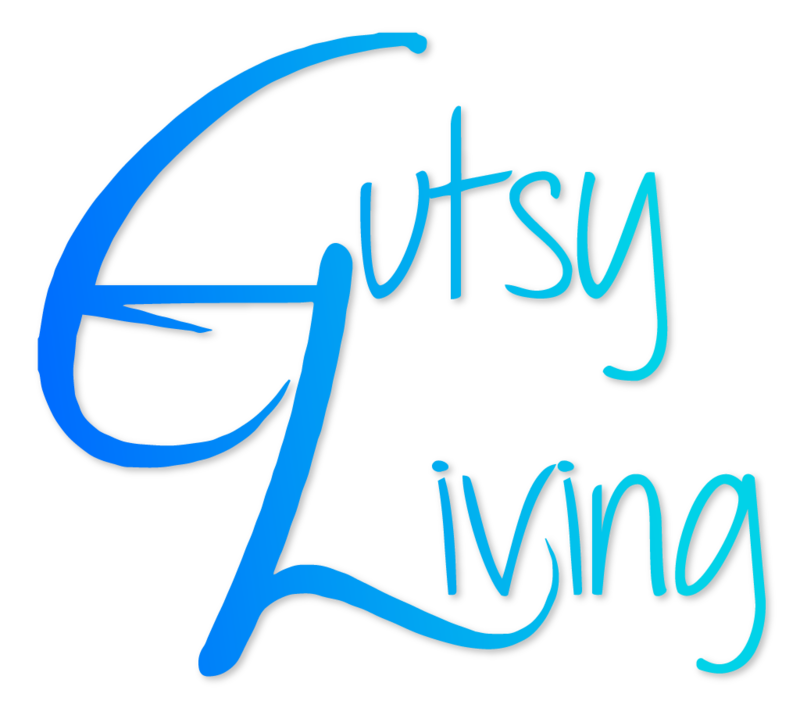 Living this way brings a power and a joy to life—and an ability to share myself with generosity and openness—that I choose to never, ever let go. 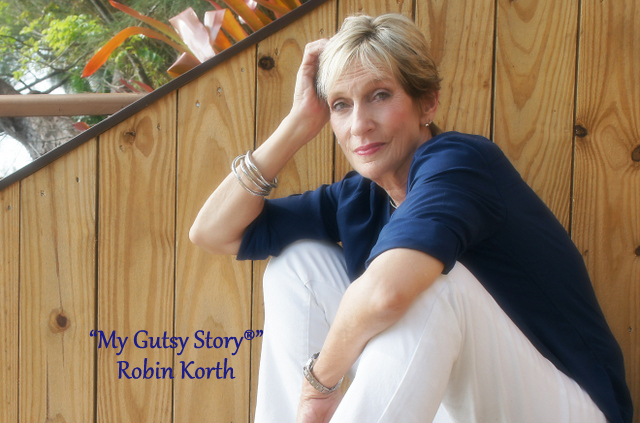 ROBIN KORTH is a renegade and an outlaw. She is also an international speaker, writer and businesswoman. Number four in a family of seven children, she grew up in the 1960s uncluttered scrub palm neighborhoods of Miami, Florida. After years of doing life as she was “supposed to,” Korth walked away and began doing life from deep inside. 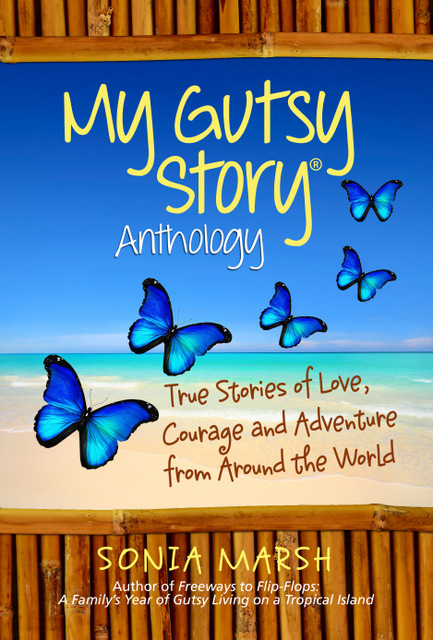 She captures her experience in her book Soul on the Run, which will be published by Balboa Press in May 2014. 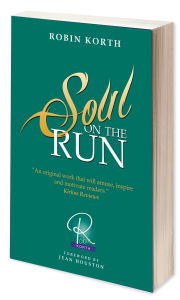 Soul on the Run is Korth’s courageously honest exploration of the power and joy that living is meant to be. In 2013, Korth launched her information and blogging website, which generated more than 40,000 on Facebook in its first year. She also introduced the “Robin in Your Face” daily motivational app, which has been downloaded thousands of times across the globe. She is a divorced mother of two, has a friendly rescue dog, named Scruffy and a self-assured cat named Sean. For more information, visit www.RobinKorth.com. Links: View book and purchase information here. 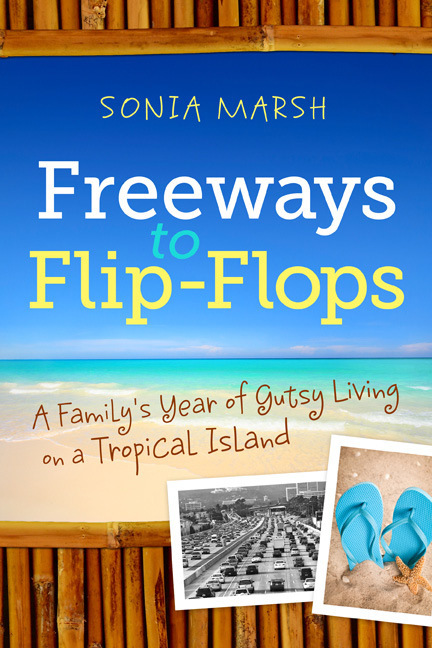 SONIA MARSH SAYS: I commend you for your honesty. Figuring out that you were all alone because you were responsible for the outcome, and being willing to admit this, is admirable. 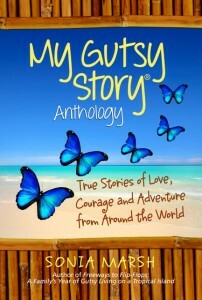 Parts of your story resonate with every mother, wife and woman. PLEASE COMMENT AND SHARE ROBIN’S STORY USING THE LINKS BELOW. Thank you for sharing your story with such honesty. Thirty years ago I found myself in that empty room, so I can relate to your story. Coming to grips with yourself and choosing to look inward is our first of many steps. I wish you oceans of blessings on your journey. Sharon–you are most welcome. I find that when I speak about the truth–and the pan–of being human, people always come back to me and let me know that I am not alone. Sandra–hell there. The wonderful thing about calling the truth in our own lives is that we begin to see ourselves so clearly. We also begin to see others this way–and our lives so much the richer for it. Thank you for sharing yourself with me. Your words of support and “having been there” understanding bless me. Thank you for sharing such a heart-tugging story. I can relate to your marriage relationship so very well. I agree that going within is the best place to start. I, too, wish you the best on your journey. Liz B recently posted..Finding In-N-Out In The Midwest! LOiz–good morning to you. We are all so very much more alike than we are different. In doing the work I do now, I find that my voice is answered time and time again — me,too! I feel the same way! And these responses are coming in from men and women, young and old –across the globe. What an amazing journey life is! Liz–please forgive the typo on your name. Tried to correct it, but could not. Thanks for sharing Robin!! I was there myself 11 years ago. I can so relate!! It is hard to find yourself but it CAN be done!!!! I am now VERY BLESSED with a wonderful husband who will not let me lose myself again. 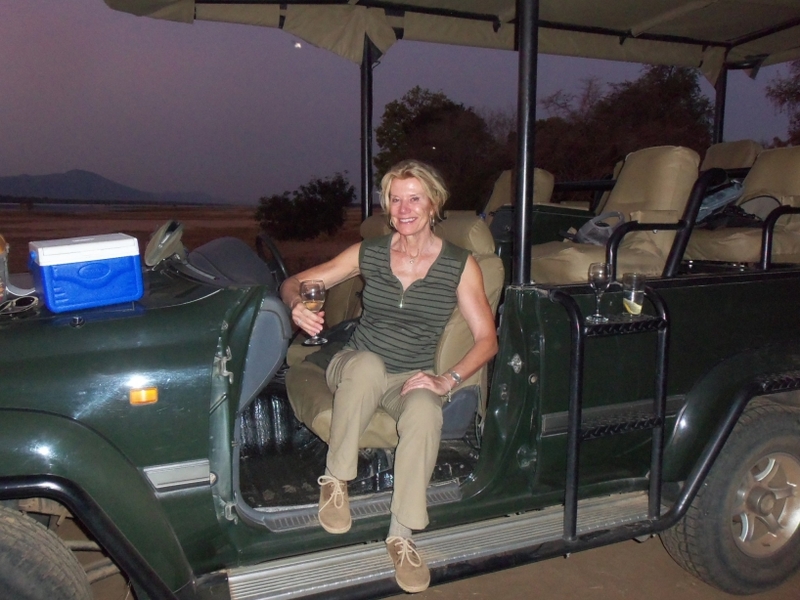 Carol–thank you for sharing yourself with me. I am honored. Life is so much better as a WE deal, isn’t it? I wish you only more blessings in your life. I just spent a week in Spain and noticed how women all over the world seem to go through the same mid-life questioning when their kids are leaving the nest. Sonia–I am no longer as surprised as I used to be about getting the ME TOO responses from around the world. We are all human–and when our souls hurt and hearts are confused–we all speak the same language. We also smile and laugh in the same dialect as well. Good morning to you! 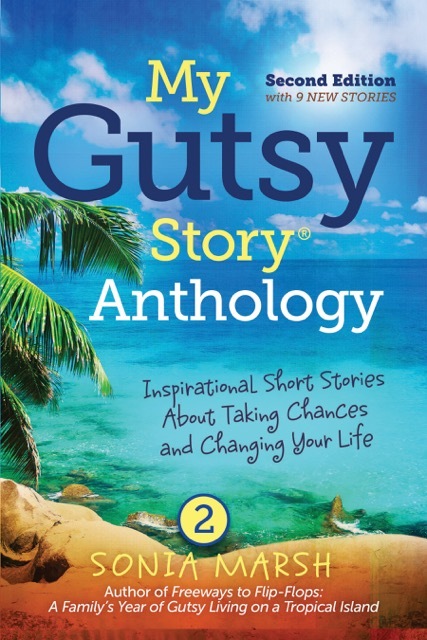 I am honored to be part of your “Gutsy Story” work. Thank you . . .